DEARBORN — A Livonia resident parked his car in the 2800 block of Cornell and left his wallet in the center console while visiting family. He later received a text message from American Express at approximately 2:30 p.m. inquiring about multiple purchases made. The victim checked his vehicle, which he had left unlocked, and discovered his wallet was missing. Officers who responded to the scene obtained the locations of the transactions and discovered the suspect using the stolen card was a black woman in her 30’s with long hair, wearing a red shirt and black pants. 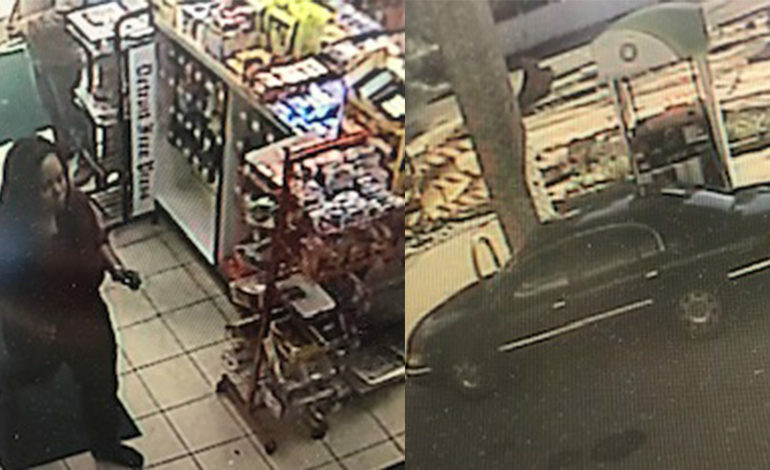 At one of the locations the credit card was used, witnesses observed the suspect arriving in a late 90’s to early 2000’s black or dark blue Lincoln Continental. More than $700 was charged to the victim’s account at locations in Dearborn, Dearborn Heights and Inkster. The Dearborn Police request assistance in identifying the suspects involved in this incident and urge those with information to call. Previous article Do Arab Americans of Dearborn know of ‘World Mankousheh Day’?